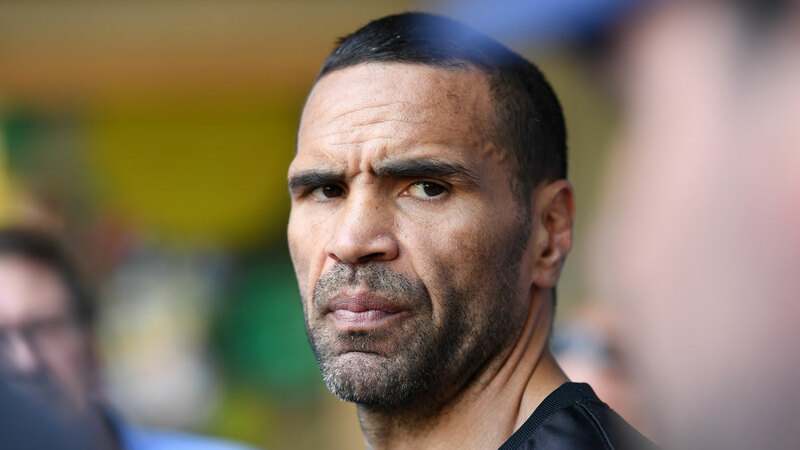 Anthony Mundine has made a fortune in boxing in the smartest way possible: transforming himself into the guy who’s both loved and hated. The hate probably outweighs the love for Mundine when it comes to Australian fight fans, and it has paid off. Millions have watched on pay-per-view over an 18-year career in the hope of seeing ‘The Man’ get knocked out. Mundine has laughed all the way to the bank. In 48 of his 56 fights, he’s had his hand raised in victory and enjoyed his fat revenue cheque in perfect health. Five times he’s lost by decision. 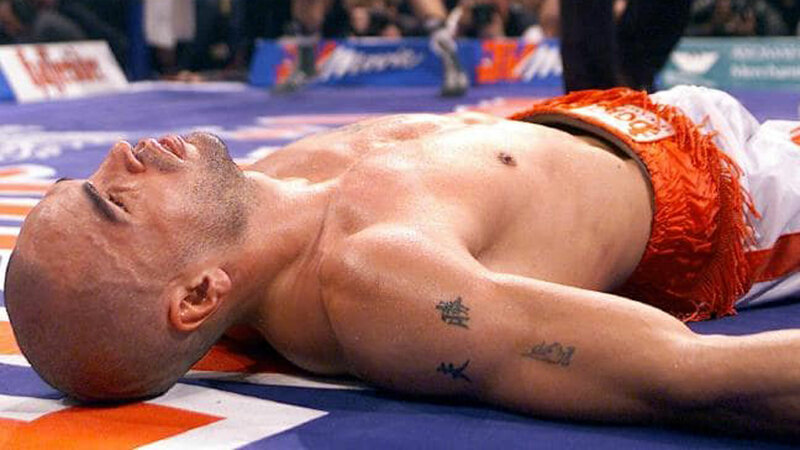 Only three times did it actually happen: Mundine lost by KO/TKO. Just three times in nearly two decades were his many critics given the sinister satisfaction they craved, and only twice did Mundine finish a fight on his back. That means that 95 per cent of the time, fans who tuned in to see Mundine put to sleep did their dough. Good business. 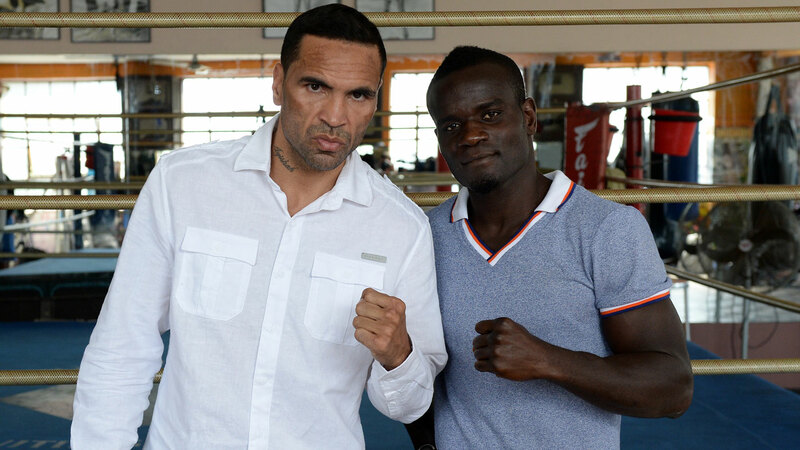 Mundine and his brash, motor-mouthed alter-ego 'The Man' got the better of those many haters. Yet in the other five per cent of his fights, Mundine came in for serious pain. Here is the tale of those brutal bouts, plus another in which he copped grievous punishment. In hindsight, Mundine reckons he was “out of his mind” to take this fight, in Germany against an experienced super-middleweight world champion. While Mundine had just 10 fights to his credit, Ottke had 24 in the pros on top of 308 amateur bouts and was eight years the Australian’s senior. Yet in the early stages of the IBF championship fight, Mundine was having his way with the German. Ottke worked his way back into the fight, with Mundine’s early dominance giving rise to the myth that he was officially winning the bout when it ended. He was actually behind 86-84, 85-84, 85-85 on the judges’ cards, having lost two points at the end of the fourth round for a headbutt and a hit after the break. All of which was academic when Ottke struck Mundine with a sweetly-timed right hand to the side of the head in the 10th round, knocking the Aussie out cold. It was a humiliating finish, especially since Mundine had claimed in the lead-up that “Ottke hits like a woman”. Ottke was indeed a light puncher. In 34 fights, he recorded just six knockouts. He was a defensive specialist who retired unbeaten, with 21 title defences to his credit. The German this year revealed just how good Mundine was in the fight, naming him his toughest-ever opponent. "He was giving me the hardest time in the ring ... He was much better than we thought," Ottke told The Ring. "It was my toughest fight in my whole career, until the knockout." Former garbage collector and South Sydney fullback Wood dealt a shock blow to Mundine’s career with this boilover knockout. Mundine had planned to next fight Rigoberto Alvarez for the WBA light-middleweight title early the following year, only for that dream to go on hold. Wood earned a shot at Mundine by winning The Contender reality TV series and was taking just his 12th pro fight, while ‘The Man’ had 43 already to his credit. Wood turned the fight at Sydney Olympic Park Superdome into a brawl, with Mundine complaining repeatedly about his opponent’s wrestling tactics and blows to the back of the head. The punch that finished Mundine, a big left hand, appeared to catch the former world champion towards the back of the head and it left him stunned on the canvas, unable to get up. Wood inflicted Mundine’s first loss in five and a half years, going right back to a world title fight defeat against Mikkel Kesser, and it was also his first loss to a fellow Australian. Mundine beat Wood by unanimous decision when they fought a rematch five months later in Brisbane. He was by far Wood’s biggest scalp, though the ex-garbo earned (unsuccessful) fights against two other world champion-calibre opponents in Sam Soliman and Daniel Geale. Mundine eventually got his shot at Alvarez in October 2011, beating the Mexican by unanimous decision at Newcastle Entertainment Centre to claim the interim WBA world light-middleweight belt. 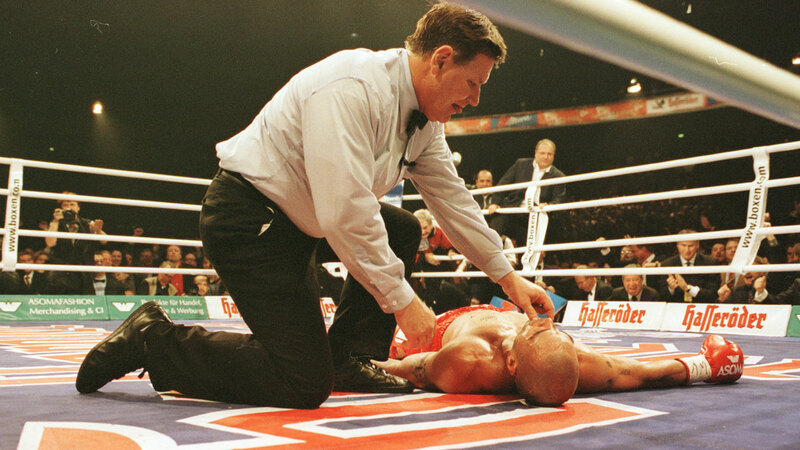 As far as being a world title contender goes, this defeat ended Anthony Mundine’s career. Hatley, a Texan southpaw, did not enter the Melbourne bout with a huge reputation as a power puncher but he rocked Mundine with three knockdowns in the second round. Mundine showed great heart to recover and work his way into the fight, but he was never the same after the American’s early onslaught. Mundine actually decked Hatley in the 10th round, but was knocked down again in the 11th and started to cop serious punishment. His father, Tony, threw in the towel to end Hatley’s barrage. "Charles boxed well and moved well. He had good distance and range and I got caught early reaching for him,” Mundine said afterwards. "I'm just disappointed. I came in with high expectations, but Hatley fought a better fight and I was a bit off." Hatley was rewarded for his victory with a world title shot in his next fight, though he was beaten by Jermell Charlo for the WBC super-middleweight belt in Brooklyn. Mundine, who was hampered by elbow and hip injuries leading into the Hatley fight, was already 40 years of age and contemplated retirement – only to reconsider when Danny Green came knocking for a big-money rematch (which he lost in a controversial majority decision in Adelaide, having easily won their first fight in Sydney a decade earlier). Mundine is rarely given credit for his courage. The year before the Hatley fight, he copped another tremendous beating but kept answering the bell. By rankings, it was an upset, with No.14-ranked Clottey taking on Mundine (No.3) for the Australian’s WBA international middleweight title and WBA ranking position. But Clottey came in with heavy hands, a granite jaw and a glittering back-catalogue of opponents. The Ghanaian had fought Manny Pacquaio for the WBO world welterweight title at Cowboys Stadium in 2010 (unanimous decision loss); Miguel Cotto for the same belt a year earlier at Madison Square Garden (split decision loss); Antonio Margarito for the same strap in Atlantic City during 2006 (unanimous decision loss); while he beat Zab Judah to claim the vacant IBF world welterweight title in 2008, by technical decision in Las Vegas. 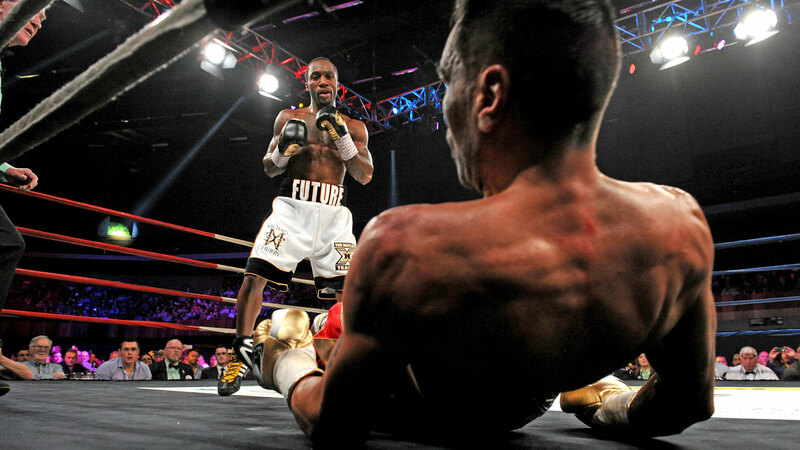 It was the kind of CV Mundine could only dream of, despite having beaten a washed-up Shane Mosley the previous year. And the fight did not go well for ‘The Man’. Mundine was knocked down five times in the fight at Newcastle Entertainment Centre: first in Round 3 with a straight right, twice in Round 6, again in Round 8 and finally in Round 10, with Clottey’s left hand doing most damage. Mundine was nearly 39 years-old and his battering was tough to watch. His team considered throwing in the towel after 10 rounds, but 'Choc' went the distance. It remains to be seen if compatriot Jeff Horn, 13 years Mundine’s junior, can inflict his fourth KO/TKO loss when the meet at Suncorp Stadium on Friday night. He would be the fourth Australian to beat Mundine, following Green, Geale and Wood. Mundine is coming off a KO win of his own earlier this year against Tommy Browne. ‘The Man’ remains a highly-skilled defensive fighter, though Horn is at the top of his game and has enough power to end his veteran opponent’s career with a stoppage defeat. Horn’s last fight was a ninth-round TKO loss to outstanding American Terence Crawford at the MGM Grand in Las Vegas. Horn was clearly outclassed by the lightning-fast Crawford, who outlanded the Aussie 155-58 and led 80-72 on all three judges’ scorecards at the time of the stoppage.